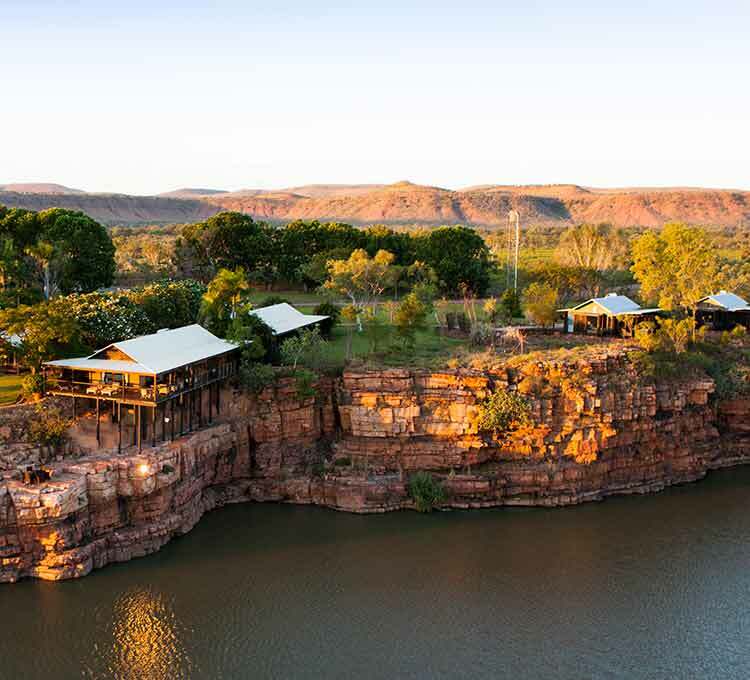 At El Questro Homestead, guests are immersed in luxury, juxtaposed by a backdrop of rugged Kimberley landscape. 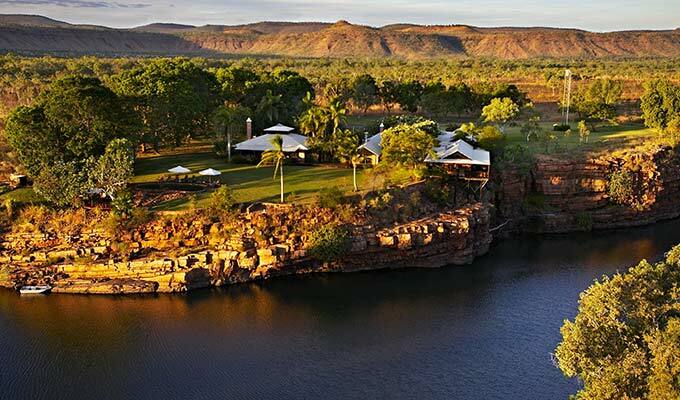 The Homestead is an exclusive retreat perched atop the magnificent Chamberlain Gorge. 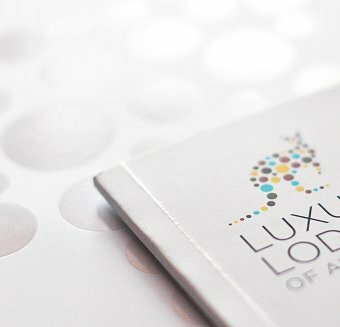 A maximum of 18 guests in 9 rooms, suites and retreats. Guest privacy is assured and friendly staff provide the highest standards of service and cuisine. With interiors featuring modern pieces set against rustic authentic Australian furnishings, the Homestead is the ideal place to fully appreciate the untamed beauty of the Kimberley. Surrounded by lush tropical gardens, the Homestead has just 9 chic rooms and suites, catering for a maximum of 18 guests at a time. • Surrounded by lush tropical gardens. Perched atop the Chamberlain Gorge, the Chamberlain Suite offers sublime panoramic views and features a wrap-around veranda with floor to ceiling windows to enjoy the magnificent sunset and sunrise over the gorge. The veranda boasts a relaxing lounge and dining area. 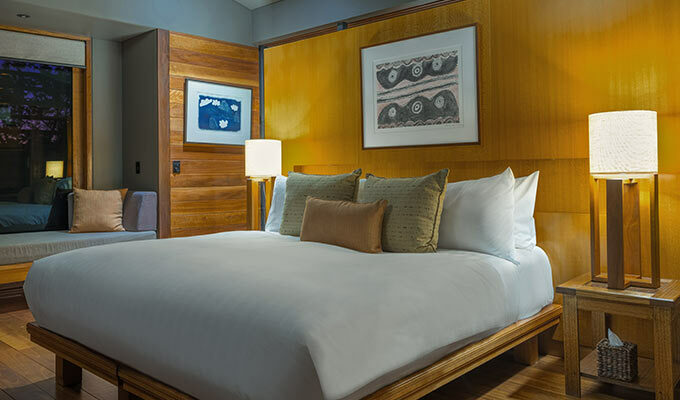 The Suite is stylishly decorated with rustic authentic Australian furnishings, is air-conditioned and offers a large wardrobe area, a modern bathroom with double shower and an indoor/outdoor private double bath overlooking the Chamberlain Gorge. The three new freestanding Cliff Side Retreats are situated at the edge of a sheer escarpment, overlooking the spectacular wilderness. Uninterrupted views of the Chamberlain River can be enjoyed from both your daybed and the luxurious feather topped bed that face floor to ceiling sliding glass walls. 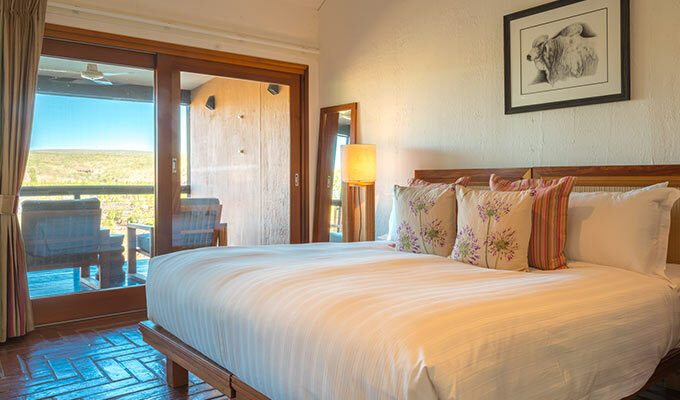 The thoughtfully finished Retreats offer spacious, light filled interiors with quality furnishings that fit naturally within the Kimberley environment. 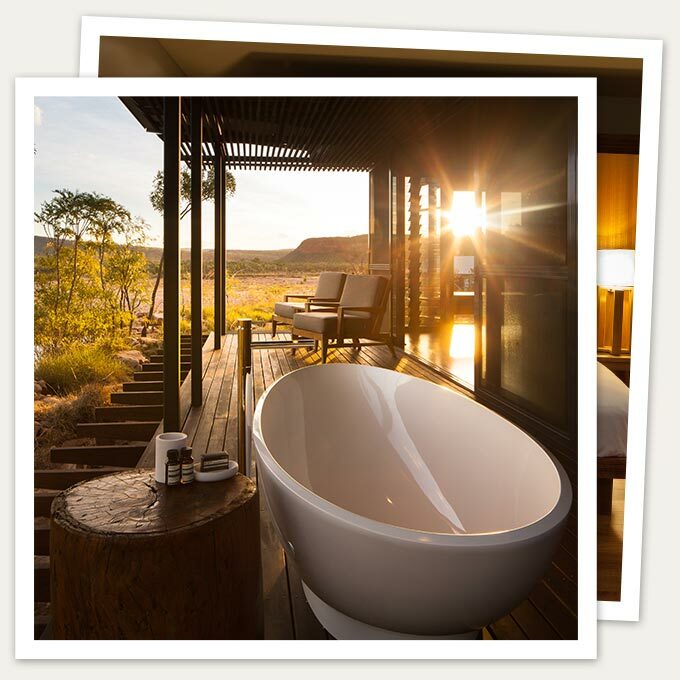 The walkthrough wardrobe leads to a modern en-suite where the stunning El Questro landscape can be viewed at every turn. Gorge View Rooms are perched above the Chamberlain River and feature a private deck with lounge furniture overlooking the gorge, allowing guests to relax in total privacy. All rooms are stylishly appointed and feature a modern en-suite bathroom with a private indoor/outdoor stone bathtub cantilevered over the Gorge. 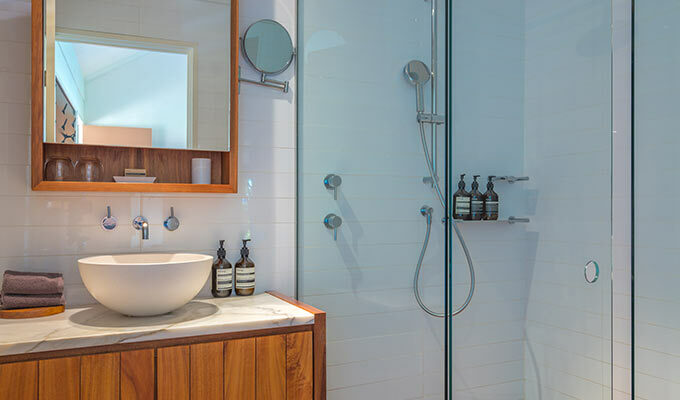 Homestead Rooms feature modern bathrooms and furnishings. 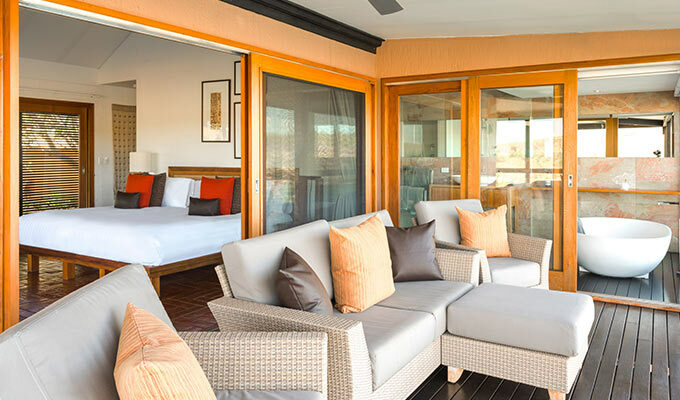 Each room has a private veranda overlooking the resort gardens with lounge furniture to relax and unwind in at the end of the day. Rooms are air-conditioned and feature a private en suite bathroom.